A new study, published in the American Thoracic Society's American Journal of Respiratory and Critical Care Medicine, suggests that e-cigarettes may stimulate distinct immune responses along with the same responses that cigarettes stimulate resulting in lung disease. Mehmet Kesimer, PhD, senior author of the study and associate professor of pathology at the University of North Carolina Chapel Hill stated: "E-Cigarette Use Causes a Unique Innate Immune Response in the Lung, Involving Increased Neutrophilic Activation and Altered Mucin Secretion." Co-authors describe findings from what they believe is the first study to utilize human airway samples to investigate the detrimental impacts of e-cigarettes. 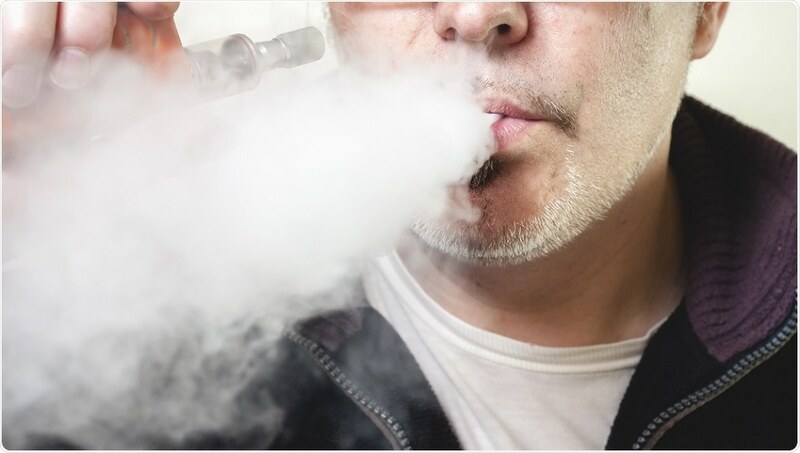 There exists confusion concerning whether e-cigarettes are ‘safer’ than tobacco, as the possible harmful impacts of e-cigarettes are in the initial stage of study Kesimer stated, noticing that this study considered the probable biomarkers of damage in the lungs. A 2016 Surgeon General's report found that e-cigarette use increased by 900 percent among high school students from 2011 to 2015. Also in 2016, the Food and Drug Administration extended its regulatory oversight of tobacco products to include e-cigarettes. A Surgeon General's report in 2016 indicated that the use of e-cigarettes rose by 900% among high school children in the period from 2011 to 2015. In addition, the Food and Drug Administration expanded its regulatory supervision of tobacco products to include e-cigarettes. Neutrophil-extracellular-trap (NET) and neutrophil granulocyte- linked proteins in their airway samples. Even though neutrophils are significant in fighting pathogens, neutrophils that are left unchecked can cause inflammatory lung ailments such as cystic fibrosis and COPD. NETs, outside the lung, are related to cell death in the endothelium and epithelium, the tissues lining organs and blood vessels. More research is required to find if this increase in NETs is related to systemic inflammatory diseases like vasculitis, psoriasis, and lupus. Oxidative stress biomarkers and stimulation of natural defense mechanisms related to lung disease. The biomarkers include matrix metalloproteinase-9 (MMP9), thioredoxin (TXN), and oxidative-stress-related and aldehyde-detoxification proteins. Secretion of mucus, particularly mucin 5AC, whose over secretion has been related to pathologies in the lung comprising wheeze, chronic bronchitis, asthma, and bronchiectasis. Limitations of the study included that, ofthe 15 e-cigarette smokers, 5 were occasional smokers of normal cigarettes and 12 had the history of smoking normal cigarettes in the past. Comparison of the harmful effects of e-cigarettes with normal cigarettes is slightly similar to comparing apples to oranges, Dr. Kesimer said. He further stated that the study data indicates that e-cigarettes have a sign of damage in the lung that is both unique and similar, which challenges the fact that switching to e-cigarettes from normal cigarettes is a healthier substitute.